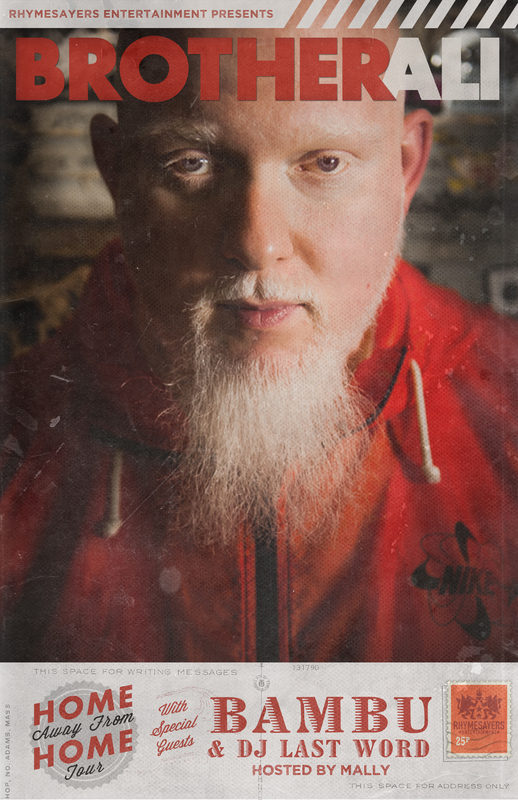 Just Announced Madison Concert + Win Tickets Before You Can Buy: Brother Ali, 11.13.14 | True Endeavors Presents: music, tours, tickets, mp3 downloads, concert pictures, videos, Madison WI. YES! You guys have seriously been KILLING IT with these concert announcements lately, I’m insanely excited about pretty much all of them! Can’t wait! This will be a great show. Brother Ali! This show looks awesome! Brother Ali puts on a great show. Lookin forward to this one. Can’t wait for this!! Brother Ali NEVER disappoints. Love the High Noon as well!! I would love to see Brother Ali!!! I’ll be there, free tickets or not! This will be my 6th time seeing Brother Ali… I was even at his High Noon show on 4/20 back in 2007! Ali is the MAN. I’ll be at this show 100%, free tickets or otherwise! YES! I can’t wait to see Brother Ali again in Madison, thanks for getting him here! Brother Ali is the best! Woot woot! So excited for this show, I hope I win! I’ll be moving back to Madison that week. Would be a perfect “welcome home” show. My husband will be excited. Think I’ll have to surprise him with tickets!